September 21, 2009 • CATEGORIES: CJ-3A, Features, stainless/jewels, Unusual • TAGS: Nice. (08/21/09) It appears the suspension is customized as well. 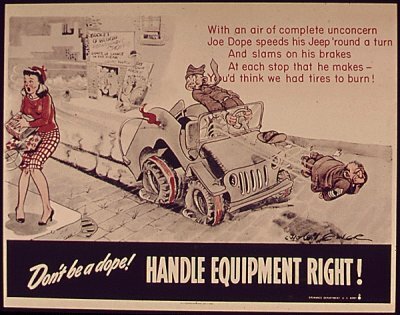 While doing some research, I wandered through Vintagetrends.com and happened upon a “jeep coat”. Having never heard of one of these, I did a quick search and landed on the olive-drab.com site. 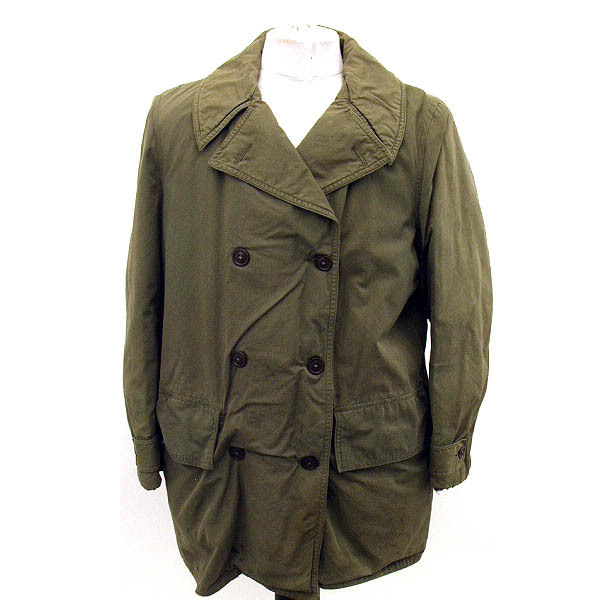 The Olive-drab reports “the heavy ‘Coat, Mackinaw, OD’ was issued initially in 1938, intended for cold weather use by troops who did not engage in much movement, such as drivers.” You can learn more about the different versions of coat at the olive drab website. The coat at Vintagetrends.com is for sale, priced at $135. 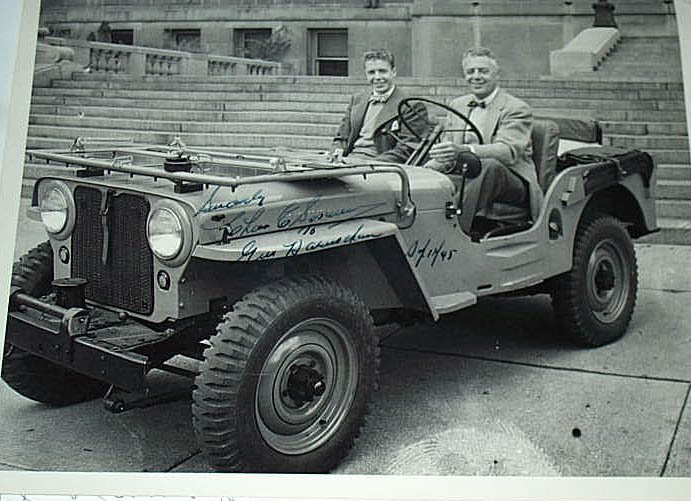 The description of the coat, issued in 1944, is as follows: This is final pattern Mackinaw field jacket commonly called a jeep coat. Jacket is in overall used condition and is stained to back and front, sleeves. Lightly frayed at cuffs, but there is no overall holes are damages. Perfect for the reinactor. All buttons present to front. We could not locate spec tag, but size tag states size 38 to collar. September 19, 2009 • CATEGORIES: Features, News • TAGS: Poster. There are a couple of great posters (?) that were posted on the 42FordGPW blog. I love them! The eWillys Bogota-Col0mbia/Butler-Pennsylvania reporting bureau has contributed another great batch of pictures from Colombia. When’s the last time you were out with so many nearly stock flatties? Clearly, Colombia will have to be a must-stop location on my trip around the world. Thanks for sharing Sebastian! Sebastian writes: I was able to put together some pictures of Willys near Bogota. As you can see, these pictures are very different from those that I shared with eWillys readers previously. 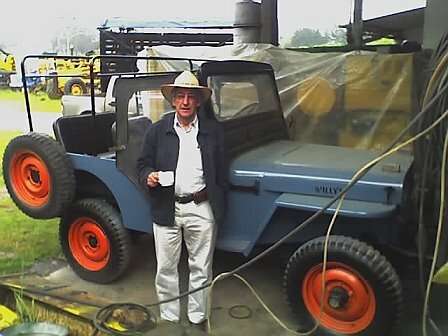 Most of the Willys in Colombia are located near the coffee plantations, which is lower in elevation compared to Bogota (4500′ msl vs. 7500′ msl). In Bogota you don’t really see highly loaded jeeps; plus, since it is colder and rains constantly, every one has a soft top. 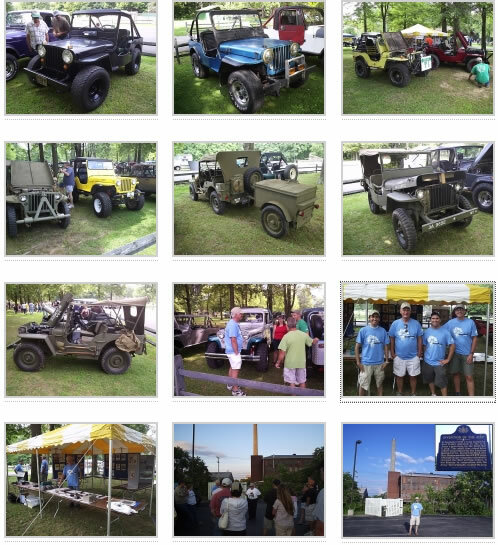 These pictures are from a Willys ride last month. My father took my CJ-3B at the end of August for a nice ride with the “Willys Country Club” of Colombia. This is the club that we belong down there; Dad usually rides with them on his CJ-3A [editor’s note: that’s the pic in the upper right]. The “Willys Country Club” of Colombia is a remarkable group (established in 1995). 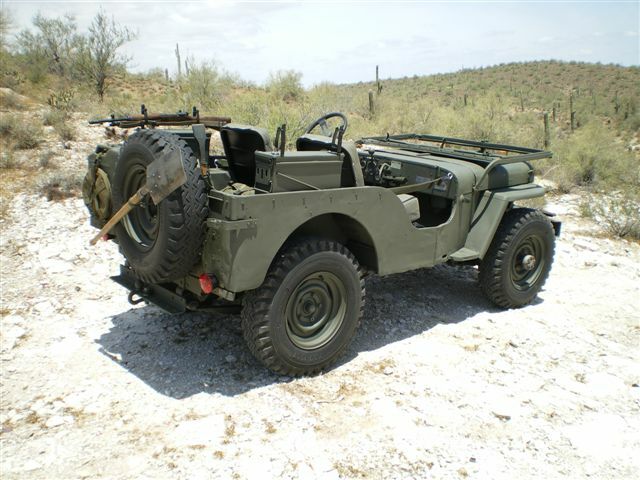 As you can see below, their Willys are in excellent shape. Even though I have ridden with them on many occasions, my 3B is not officially one of the club jeeps since they only allow low hoods. That is the reason why my father usually takes his CJ-3A. I am attaching a map that hopefully will help you to understand Colombia better. 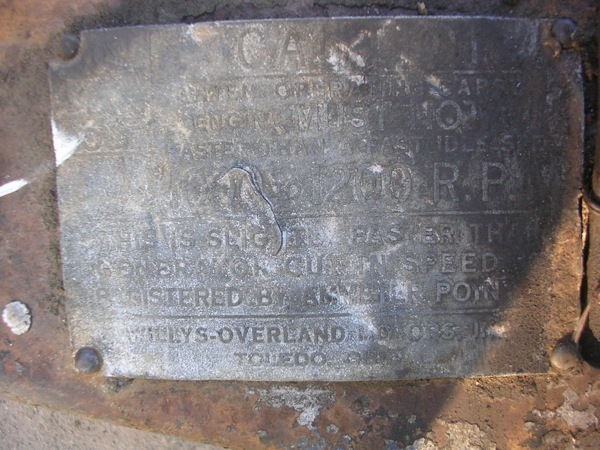 I did a search on a “CJ-5 gas tank” and stumbled across a website called “The Find“. 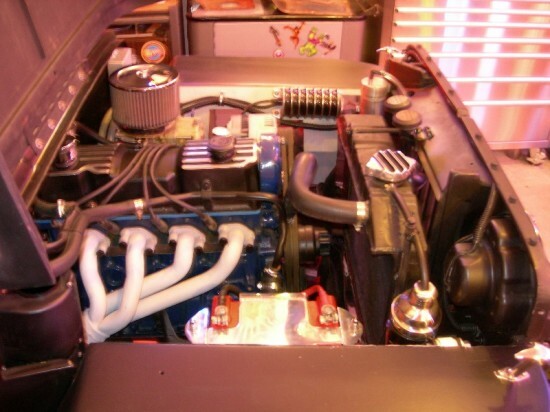 It had search results from Tellico, zaib4x4, 4 wheel parts, and a variety of others. So, I did a few more searches. It looks like a great way to compare online prices. They have an iphone app as well. Sebastian, whom I mentioned in this post (a couple posts down), taught me a couple things about Willys in Colombia today. 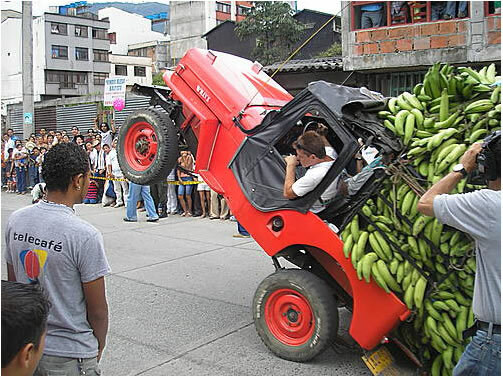 2) There are many Jeep festivals in Colombia. Most of them occur between September and October; they are called “Yipaos”. The festivals were started in 1988. The vehicles are driven through the main streets of a city and the Jeeps with the largest amount of objects carried with the most harmonious arrangements earn prizes. In fact, in February 2006, a Guinness World Records was established for the “Longest Jeep Parade” in Calarca, with a caravan of over 370 Jeep Willys vehicles. It seem to me that we need to break that record back! 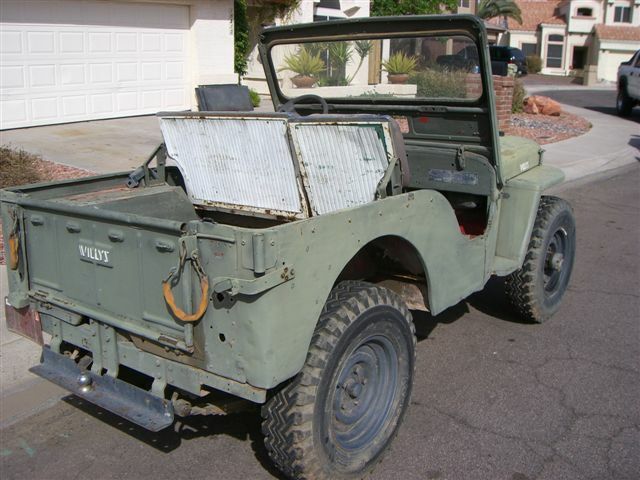 Here’s an article about it on the CJ-3B page. Sebastian also sent me a powerpoint with some nice big pictures of one festival. You just gotta see it to believe. Check out the mud flaps … I’ve been looking for some older looking mud flaps! As I mention in the post below, Sebastian wrote me yesterday and told me a little about the Flat Fender Club of Butler. As I understand it, Sebastian launched the club website last year. It sounds like it’s kind of an ‘open source’ club. It appears several of the club members are readers of ewillys and I look forward interacting with more. Yesterday (and today) I have enjoyed some correspondence from Sebastian, who hails from Colombia and currently resides in Pittsburgh, Pennsylvania. 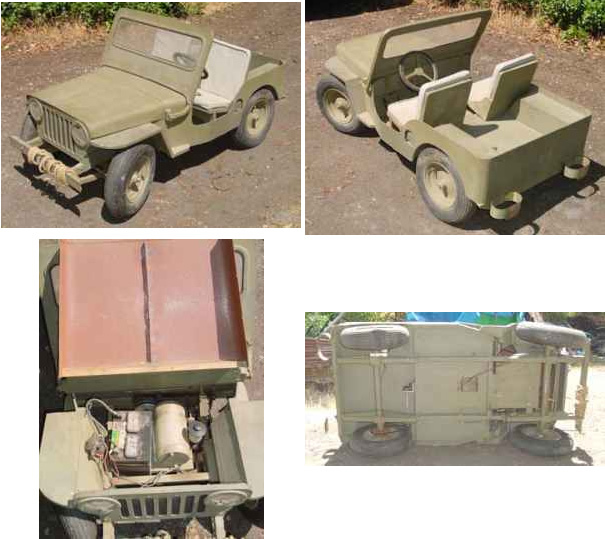 In 1994, Sebastian and his father (who owns a blue CJ-3A), rebuilt a red 1954 CJ-3B, which can be seen to the right and viewed at the CJ-3B Page (sixth down from the top). For all the customizations I’ve done, I have to say I was still surprised, delightfully so, to receive this update from Brian about his metamorphasis of a GM sending unit into a Willys tank. Maybe it is just me, but it simply never occurred to me to try something like this. Moreover, as I turned Brian’s work into a post, I learned a great deal about gas tank sending units. Thanks Brian! A quick note. After doing some research, I discovered one of the most common reasons for the older gas gauges to stop working correctly is a bad ground. 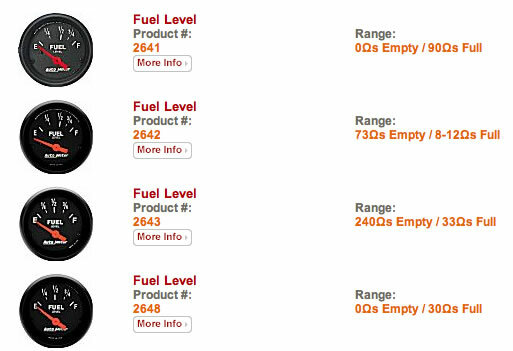 So, if you are having problems with your old gas gauge, check the ground at the gauge and/or sending unit. I have tackled a variety of planned tasks on my CJ-3B, but as with any project, I’ve run across some unexpected issues as well. My gas tank sending unit is a perfect example. Prior to installing my gas tank, I decided to use an ohmmeter to test my sending unit to make sure it was in good condition. Unfortunately, I connected my ohmmeter and discovered my unit was dead. So, I thought this was a perfect chance to install a modern sending unit. 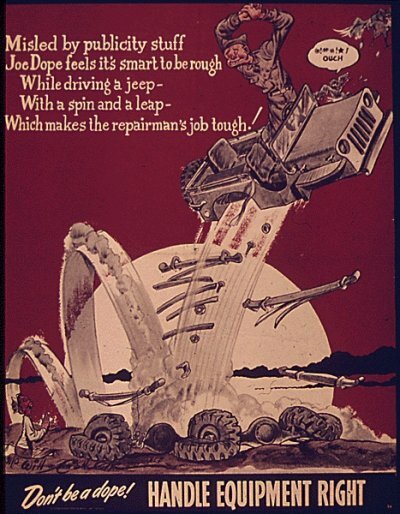 Btw, you can visit the 1945gpw website to get a nice overview about how to use an ohm meter to trouble shoot your old Willys sending units. The stock unit on my CJ-3B is 40-0 ohm’s (which means the ohm meter would read 40 ohms when full and 0 ohms when empty). As I am upgrading my gauges to auto meter gauges, I had to make sure I selected a gauge that would work. 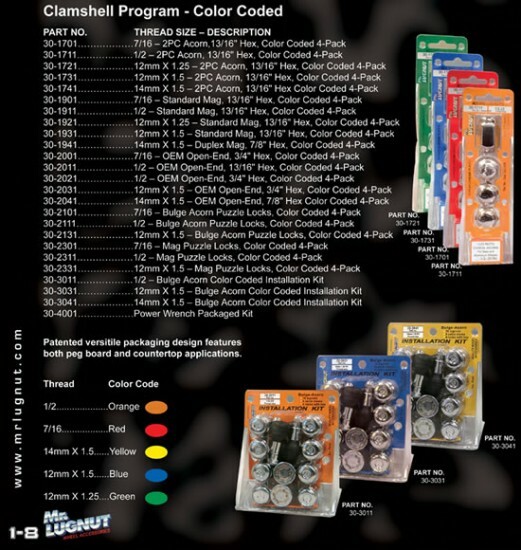 There were four different gauges to choose from: 90-0, 30-0, 8-73, and 33-240 ohms. Note that the last two gauges are backwards for our purposes — the gauges would have read full when empty, and empty when full (if they worked at all). Also with my new gauge, I felt I would run into a problem with the ground, so I decided to replace the sending unit and make it work right. 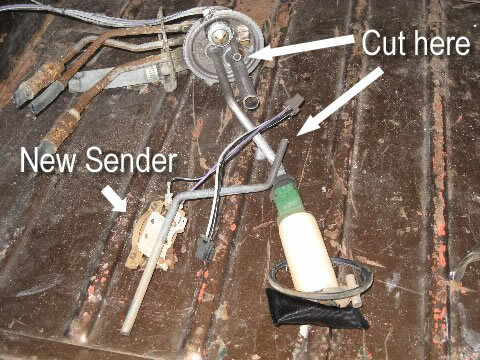 I had replaced a GM in-tank pump and sending unit on a friend’s truck and found a GM sending unit would fit though the tank opening of a Willys. 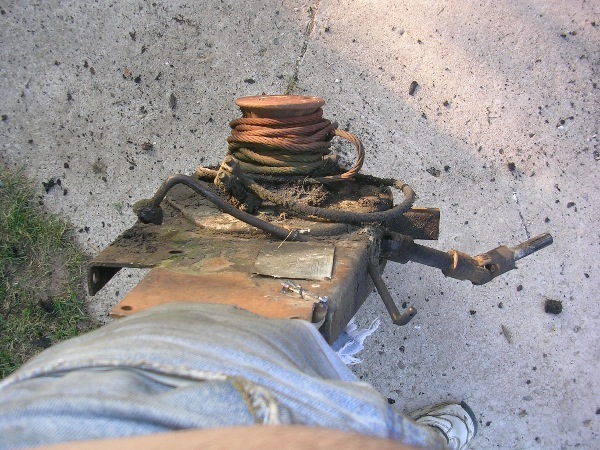 So, with that in mind, I started by disassembling the old Willys unit. 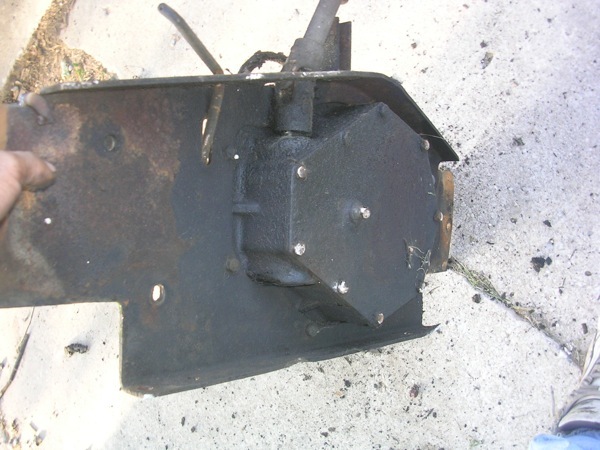 First, I removed the sending unit and the sending unit base from the gas tank. Next, I separated the sending unit from the base as I will be reusing this base (with some modifications) using my drill press. With that apart, I turned my attention to the GM Assembly. I removed the sending unit off the GM assembly by cutting the tube up high. I went over to Mick C. and we machined a plug for the old unit (a machinist is a good friend to have!). This GM unit is 90-0 ohms, a perfect match to the Auto Meter 105-2641 gage. 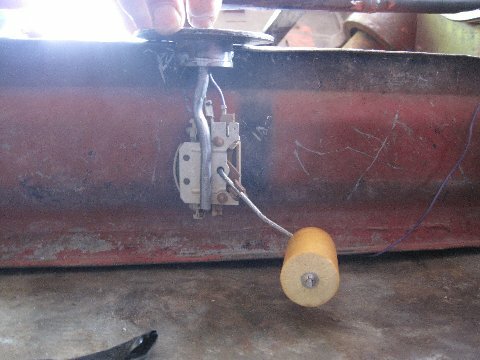 It is also internally grounded, note the two wires. Here is the unit assembled. The new plug had a hole in the center so I could run the new gas line through it. Also, the plug had a hole for the wires as well. 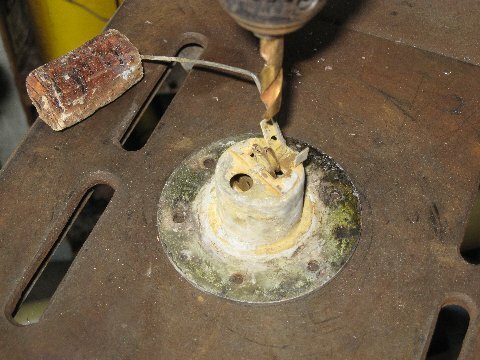 I drilled three holes around the radius of the sending unit base and welded the plug in place. You can see the welds in the image below. 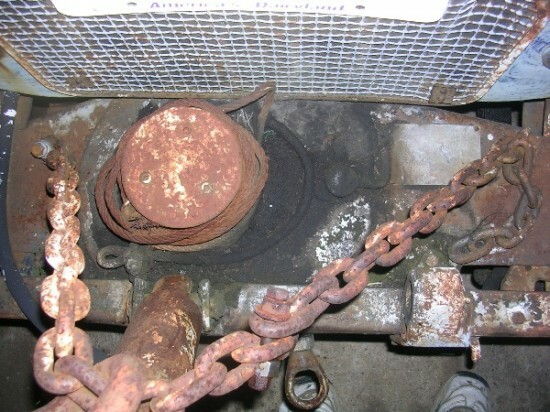 Note the J-B Weld. There is about 1/8″-3/16″ between the top of the plug and top of the unit. I used J-B Weld to pot and seal the unit. J-B weld (http://www.jbweld.net/products/jbweld.php) claims to be resistant to gas (from the website: “It’s strong as steel and impervious to water, gasoline, chemicals, and acids.”). DO NOT USE SILICONE!!! Now, I had to adjust the float to work correctly with the new unit. I cut the arm at the first bend from the float then turned it 90 degrees. I also cut the float down an inch. Note: there is a pattern to the bolt circle on the old unit. Index the sending unit on assembly so the float will clear the internal wall in the tank. The wall runs across side-to-side; the float will have to do the same. Adjusting the float was easy. I just held it to the top of the tank and bent the arm as needed. One good thing about this modern sending unit is the rheostat can be replaced by removing two screws. You would have to get another one from a junk yard but can easily be rebuilt. This works really well … I love these types of projects. A reader named Robert noted my interest in an alternative emergency brake. He purchased the one to the right and says it looks pretty good, though he still needs to install it. While this isn’t exactly what I’m seeking, it is a great price at $4.95. A reader asked about the original size of CJ-2A hood blocks. A quick search revealed this was a forum topic on the CJ-2A Page. Please visit the forum to learn more. I tried to create a quick link to the picture in the forum, but the forum won’t let me, so here’s a copy of the drawing submitted and a great pic of a 1945 CJ-2A which shows the blocks really well. 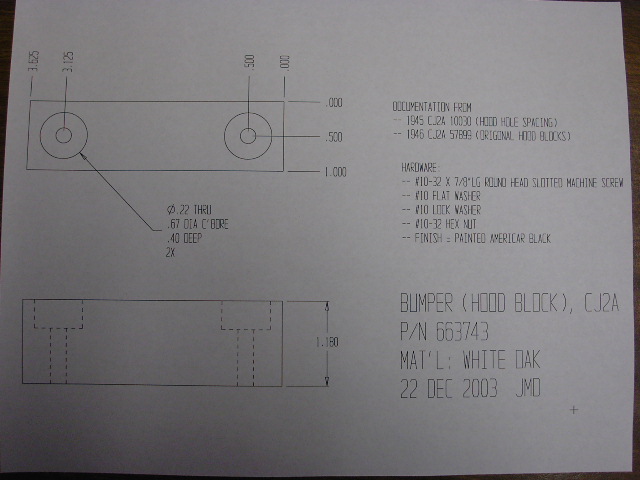 There’s also a CAD drawing that you can find in the forum as well that should help with the blocks. 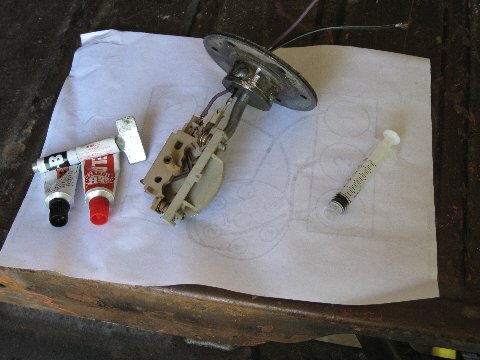 The photo was posted to the CJ-2A page forum by the forum moderator Sean and the drawing was done by Joe DeYoung. 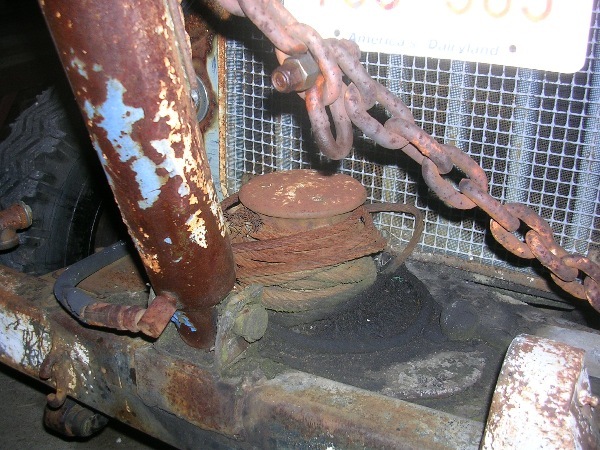 UPDATE: There was some interest in the Capstan winch from David’ part’s jeep that I featured the other day. Here’s some additional views of it. 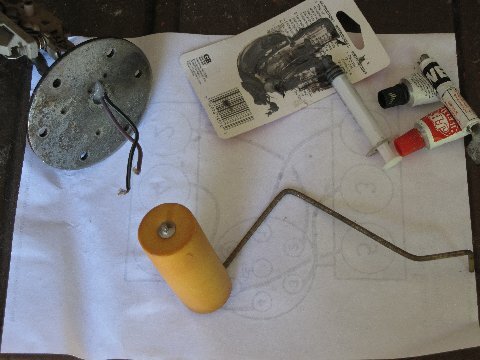 You can still find parts for Capstan winches here, though they are out of the Capstan kits (which cost $2,650). Brian also runs a ‘Capstan’s for sale’ page, but appears all sold out at the moment. And here’s a little nautical history of the Capstan winch from wikipedia. And here’s some info from the CJ-3B page on the Ramsey Capstan Winch, including some pics of the brochure. A reader asked about finding chromed lug nuts that had right and left hand threaded types. 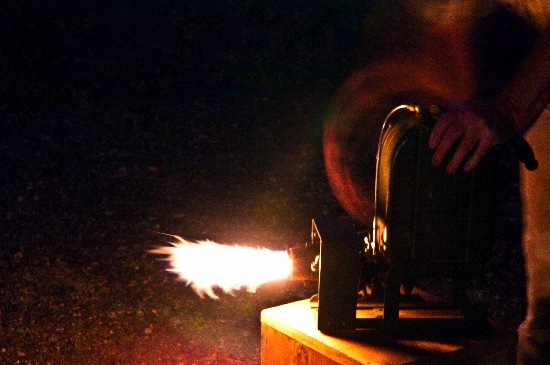 If my addition is correct, readers have located 6 rare Stewart handcrank heaters in the US & UK. They are rare enough that the antique Road Show people couldn’t get any information about them from their buyers (see the 2nd to last post on this page). Dennis, who’s heater is featured here, decided to fire up his heater at night, creating this cool picture. He also sent an unrelated artsy pic of an M37 he thought he’d share. Thanks! August 31, 2009 • CATEGORIES: Features, Racing • TAGS: PNW-Race. Troy forwarded me this great pic of his son Tyler dragging at the PNW Summer Convention. Tyler is 18 now and Troy writes, “I HAVEN’T HAD TO RIDE WITH HIM AT THE RACES SINCE HE TURNED 16…. 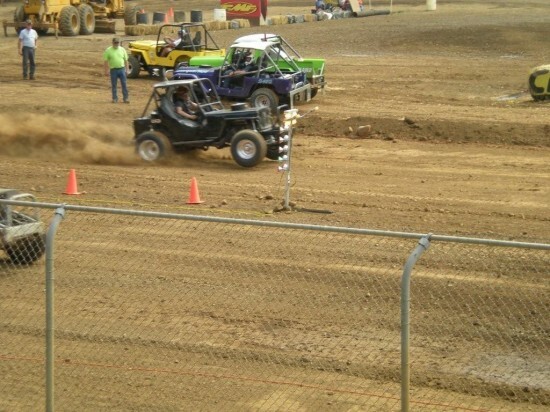 I MADE A BIG MISTAKE THIS YEAR AND RODE WITH HIM ON THE X-CROUNTRY…..THE KIDS GOT IT, BUT @#!%&amp;##@ HE SCARES THE HELL OUT ME…LOL.” You can see both the race jeep and troy’s other jeep here. Looks fun! 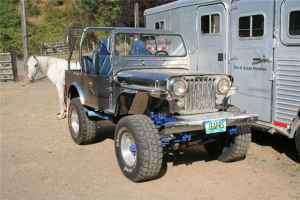 I didn’t get many specifics on this build, other than it is a barn find that was carefully rebuilt and is located in or near deer park, washington. There are lots of great details on it. Thanks for the pics Michelle! Here’s a poem quickly penned earlier this decade by the girlfriend of a jeep. One of the positives about living in Idaho is that there are lots of tractors and tractor stores nearby. I stopped by one today and picked up one item I hadn’t yet purchased: a steering knob for my steering wheel for only $6.99 — the best price I’ve seen anywhere (I got it at D&B, a local farm/garden store). 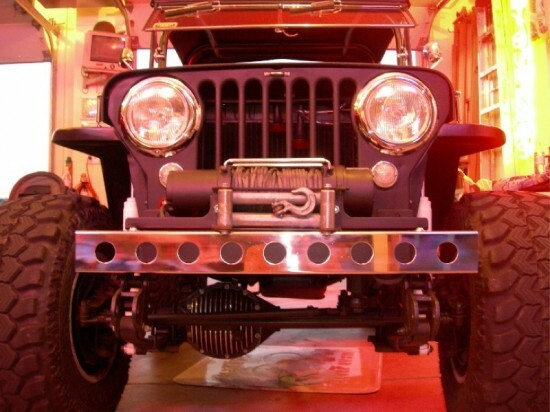 Now, these aren’t legal in every state, but they are sure handy for jeeping and racing. I brought it home ready to mount it, but realized I couldn’t remember exactly how to mount it, so I jumped on the internet. The first thing I learned that a steering knob was actually called a Brodie Knob, which is where the term “doing a Brodie” comes from. 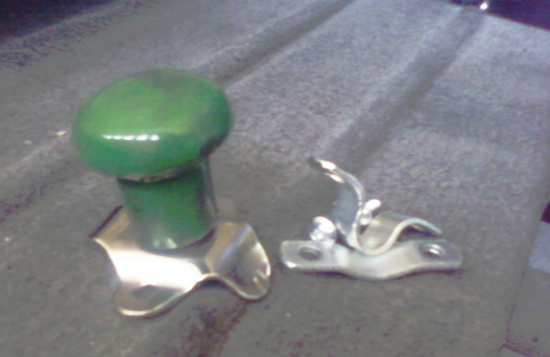 Check out the different kinds of knobs offered through thehotrodgirl.com. August 29, 2009 • CATEGORIES: Features, News, Website • TAGS: Tour-Jeep. Once again, wandering the internet today looking for information on mounting my steering wheel know resulted in several interesting posts. 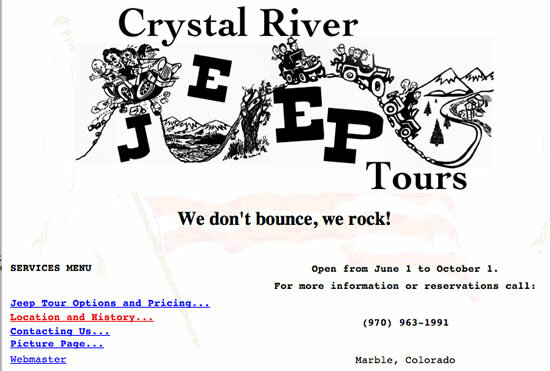 This post is about a jeep tour business out of Marble, Colorado called Crystal River Jeep Tours. You can visit the website or learn more about it from this 2008 trip with some video and this post with videos as well. August 29, 2009 • CATEGORIES: Features, videos • TAGS: Club, PNW-Race, Yakima Ridge Runners. This is the second of two videos made by Universal International News. Much of this footage seems very similar to the shots taken by Life Magazine of the Ridge Runners, when they did ran a story about the Jeep Club. August 29, 2009 • CATEGORIES: Features, videos • TAGS: Club, Yakima Ridge Runners. 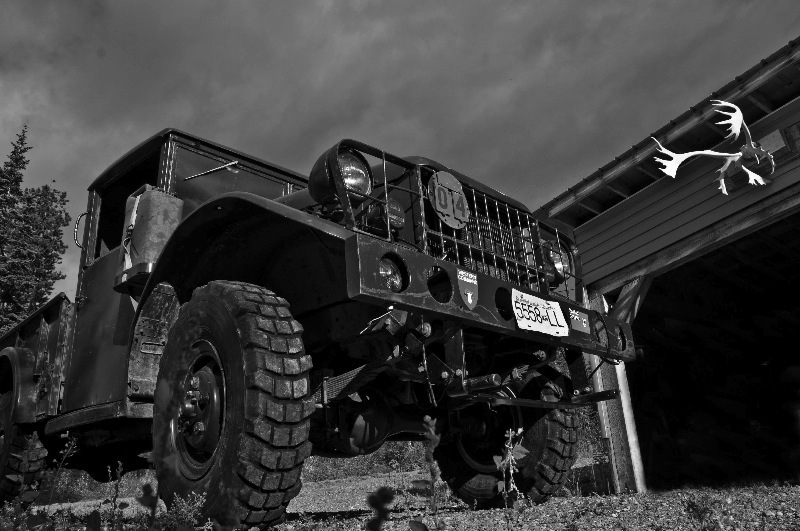 The Yakima Ridge Runners Jeep Club recognizes itself as the world’s first incorporated Jeep Club, incorporating in early 1947. I have run across reports of early clubs formed in Southern California, but whether they actually incorporated or not is unknown to me. This video made by Universal International News was one of two. August 28, 2009 • CATEGORIES: Features, Racing, videos • TAGS: Club, PNW-Race. I was searching to see if anyone posted videos from the PNW4WDA 2009 Convention, but haven’t seen any yet. I did find this nicely organized collection of racing images from 2008 that I hadn’t seen. So, I thought I’d share them. Note the audio has been disabled. I have to wonder exactly how they track down audio like that given the millions of videos uploaded vs. the relatively low number of hits on this video. 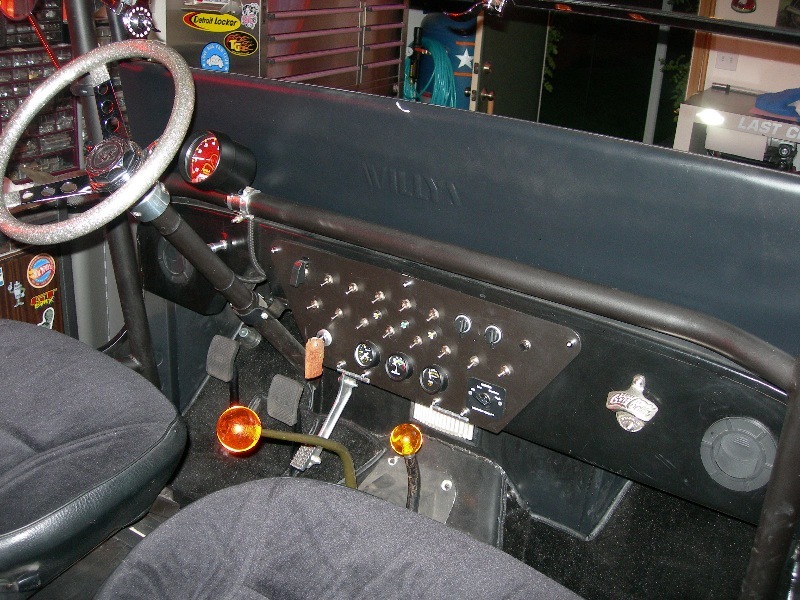 I was looking for some Willys Jeep script ran across the Tail Light King Website accidently. I don’t think I mentioned it last time, but the taillightking.com has Willys & Jeep lights as well.